This entry was posted in blog, Food, Random Ramblings and tagged Lea and Perrins, personal, Secret Ingredient, worcester, Worcestershire Sauce. So, who knows exactly what will happen if we leave the EU? Not long now until the big decision. One that could change our very way of life. 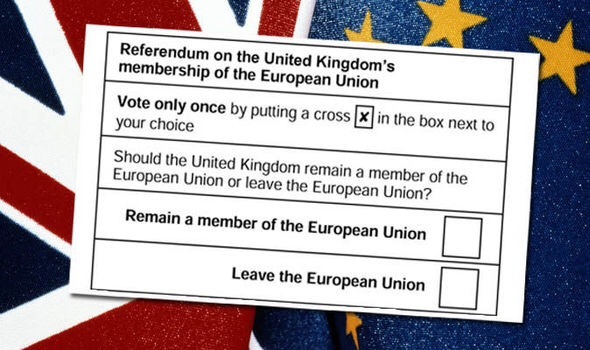 A choice that if we make the wrong one could disrupt our way of living, cost us millions of pounds in lost business, result in the possible outbreak of World War 3 and begin the ultimate downfall of a once great country. Or everything could stay exactly the same, or get slightly better or maybe slightly worse. This entry was posted in blog, Current Affairs, Random Ramblings and tagged EU, Referendum, Vote. PCC HUSTINGS AT THE CAP N GOWN, WORCESTER. Well, the police and crime commissionaire for Worcestershire job is up for grabs and 6 people have stepped into the ring ready to battle it out. This entry was posted in blog, Community Events, events and tagged capngown, crime, hustings, police. To block or not to block. That is the question ? Recently I have been thinking of having a Facebook Friend cull but I’m the sort of person that hates to hurt people’s feeling. I hate arguing and will do my best to help anyone who needs help if I can Hell, if I go a different route in the car to what the sat nav is telling me I feel guilty and have even apologise to it. Yes, I’m that nice. I have been blocked / unfriended on Facebook in the past by a couple of people. That’s two people, maybe more, that I have annoyed in some way. Not sure what I did wrong but I have to admit that I was a little hurt. This entry was posted in blog, Random Ramblings and tagged annoying people., block, dilemma, facebook, twitter, unfriend.